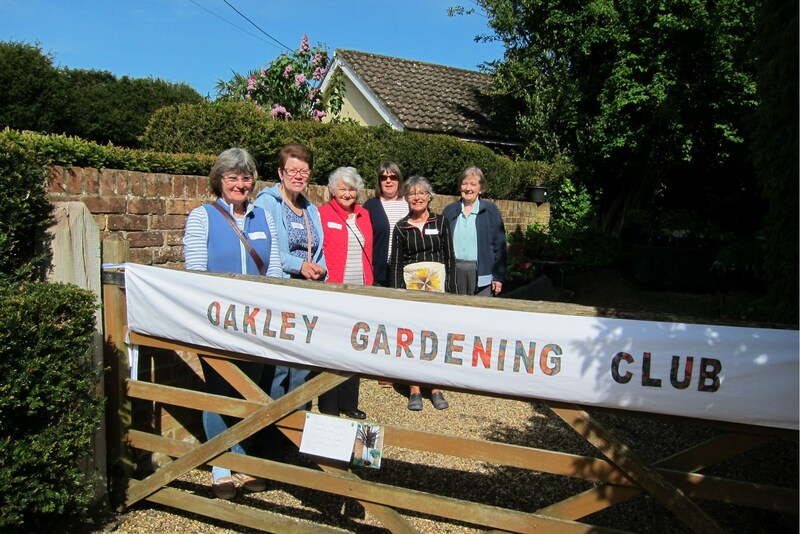 The Oakley Gardening Club meets on the first Monday of the month (except January and July) between 19.30 and 21.30 in the large hall at St Leonard's Centre, Rectory Road. Membership costs just £15 per annum. We are a group of gardeners - some more expert than others - who enjoy learning more though talks and slides and in sharing information about all things gardening. In addition to our monthly meetings we have a visit to a local garden instead of a meeting in July - in 2018 we were welcomed to Old Camps between Kingsclere and Newbury which was, a couple of months later, featured on the BBC Gardener's World programme. Member also join with other organisations in the village for other outings - Petworth House and West Dean Gardens in May 2018 and in 2017 we visited Kingston Lacey near Wimborne. New members are always welcome - just come along to any meeting.